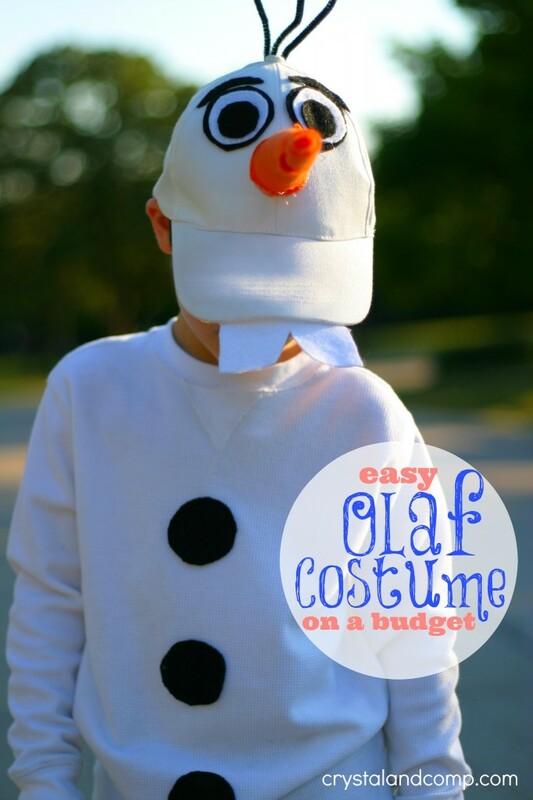 Are you struggling with finding the best Halloween costume? 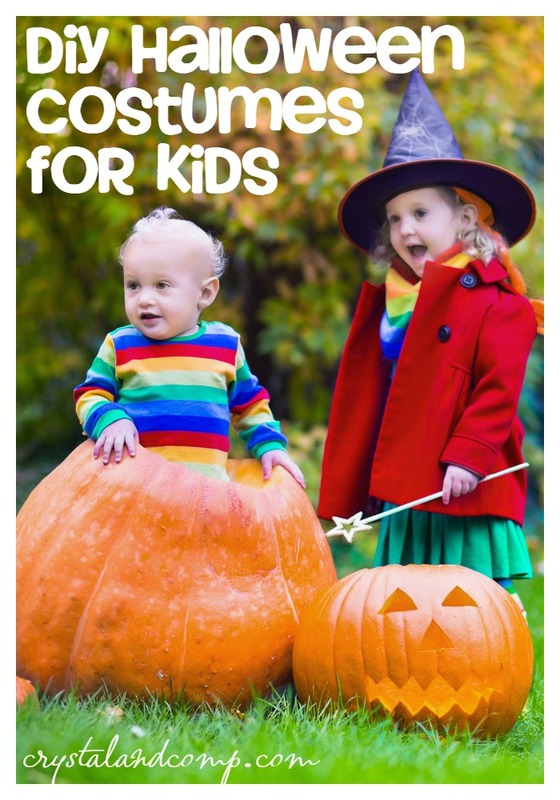 This time of year is super fun but as moms with multiple kids it is sometimes hard to find exactly what are kids want and also without exceeding our budget! For our boys the decision of what they want to be for Halloween really begins sometimes during the summer. Do your kids do this too? It is actually entertaining to hear over the span of a few months how many times they change their minds. Sometimes store bought costumes just don’t fit the personality of our kids, our budgets, or are anything they are remotely interested in so here is a little inspiration for you. Don’t get scared. I am talking about homemade costumes. This can be done ladies. It is possible to make your own and make it totally awesome even if you have never done this before. 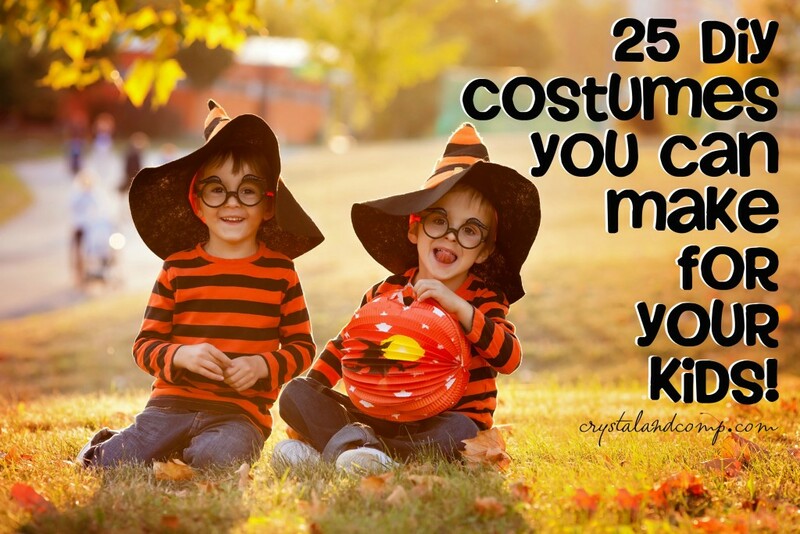 So check out these 25 ideas that are super awesome DIY Halloween costumes for kids and I am sure you will be inspired! 1. 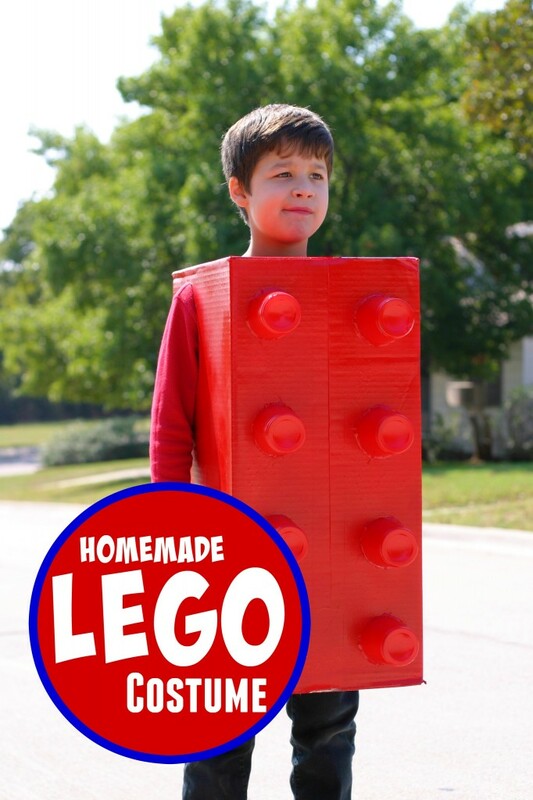 This Homemade Lego Costume seriously could not get any easier and can be made in 30 minutes! 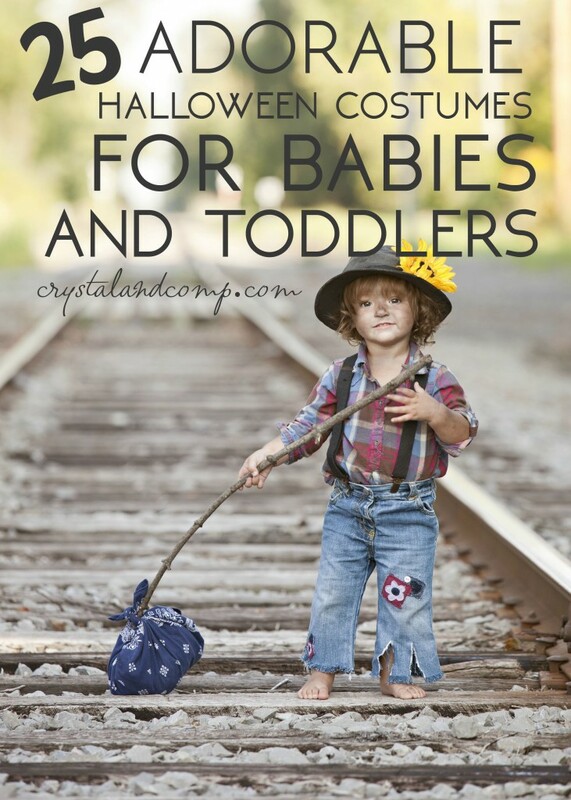 Crystal & Co.
What are your best ideas for creating a costume this Halloween. Share your DIY projects! Teenage Mutant Ninja Turtles used to be the most popular kids show when I was much younger and now its one of the most popular kids shows for my kiddos. 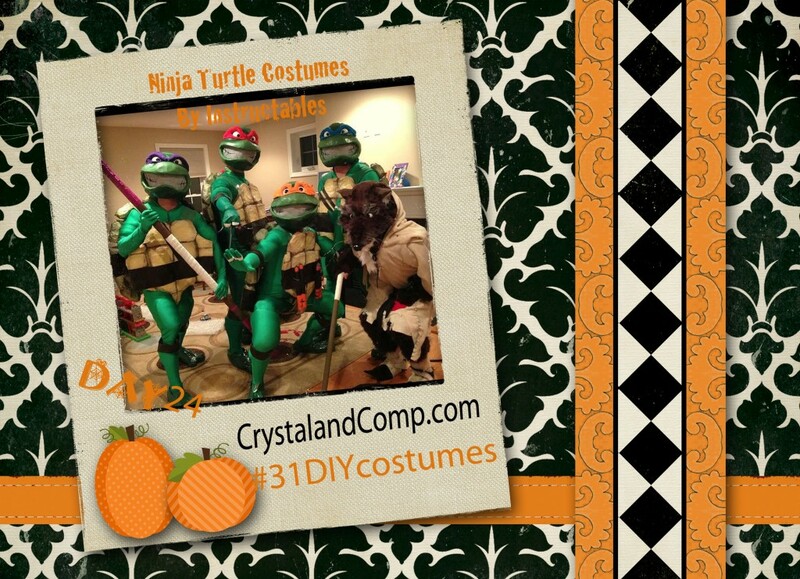 What better costume to find for all of those Ninja Turtles lovers out there for day 24? One thing that I LOVE about these costumes is they look so real! Each costume looks just like the real ones and you can choose one of the 4 turtles or you can be Splinter the rat. The website called The Instructables has a wonderful tutorial. Most of the costume is made up of paper and glue, but they are pretty in-depth costumes. 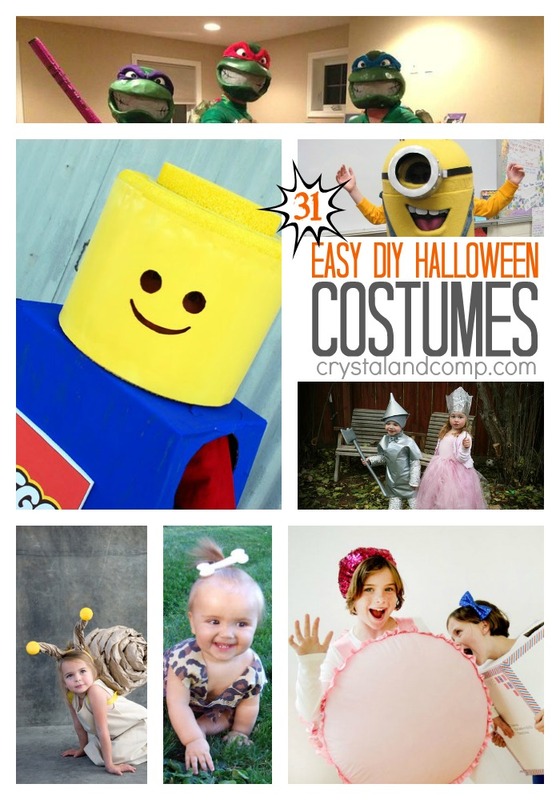 You can use these for little kiddos or even for grown adults to go to a Halloween party in. (I think my husband should go as one of these guys). 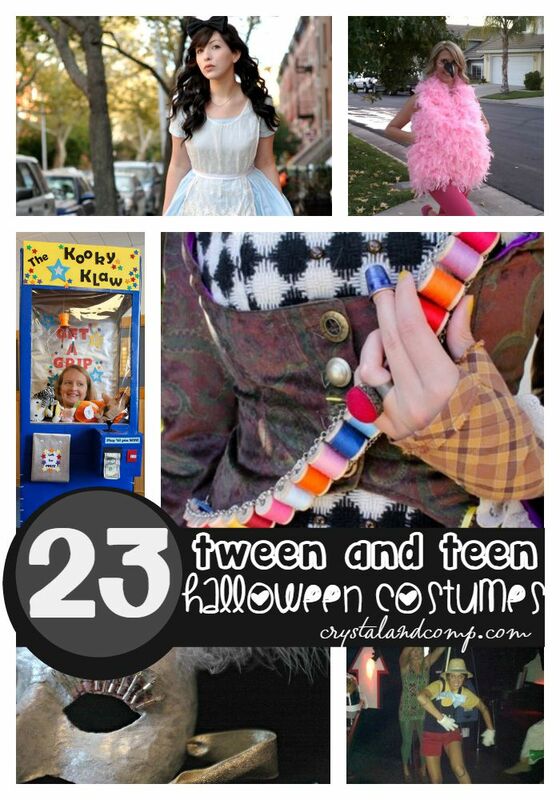 DIY Halloween costumes are great because you can save them for years down the road and you can make them your own. 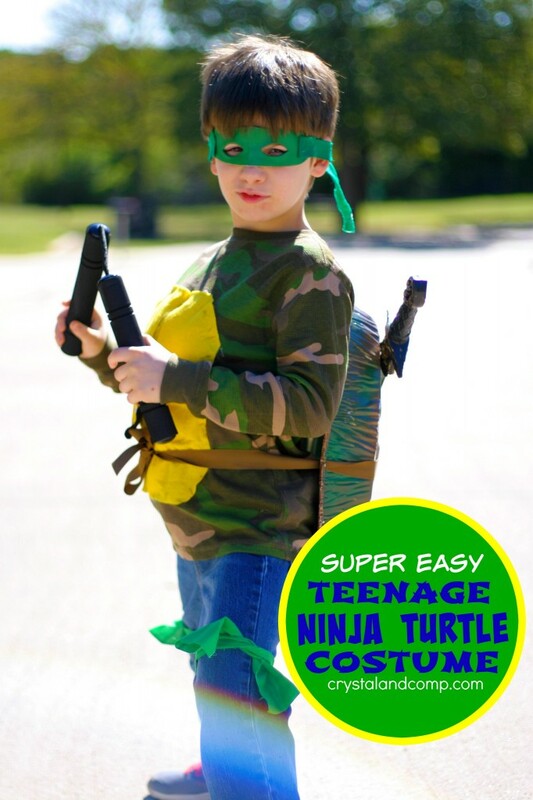 I found this Teenage Mutant Ninja Turtles costume over at The Instructables and you do not want to miss this full tutorial. Its includes all five characters. While you are here do not forget to pin this idea to Pinterest for easy viewing later. Hi there. I am Lynn, Crystal’s sister-in-law. I am a mom of two boys, 9 and 4, and a little girl who is 5. I am married to one of Crystal’s brothers- James. I am so happy to be here sharing some of my fun ideas with you guys. I am also a local photographer here in the DFW area. You can see some of my work and the stories I share at Pink Umbrella Photography.